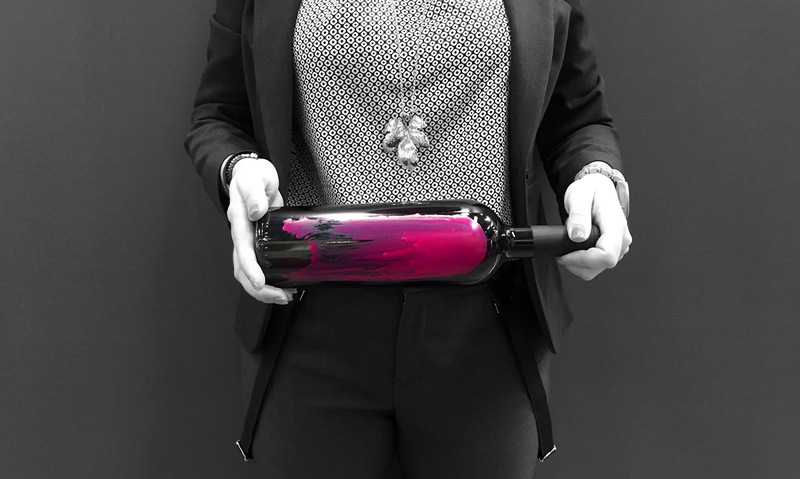 When I told Benazzoli Winery about my idea of hand-painted customized bottles, they immediately embraced the project. 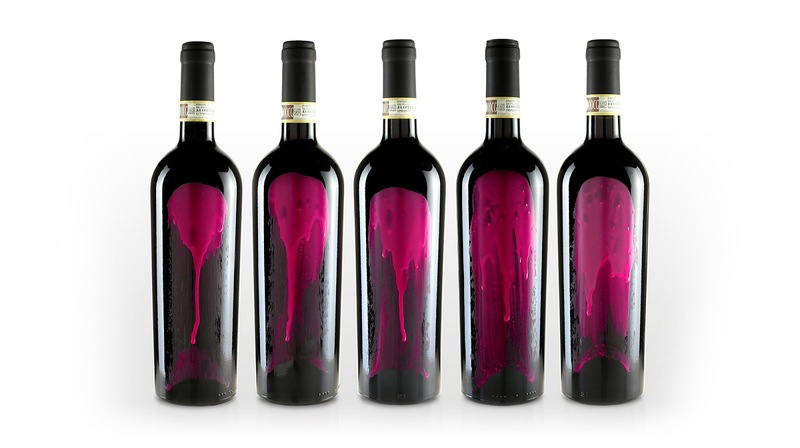 They selected 100 bottles of their best Amarone della Valpolicella Classico 2013, and painted each glass with a special purple varnish, one by one, exclusively by hand. The result is 100 different designs developed in a couple of days of tryouts and work: each bottle conveys a different personality and feelings. 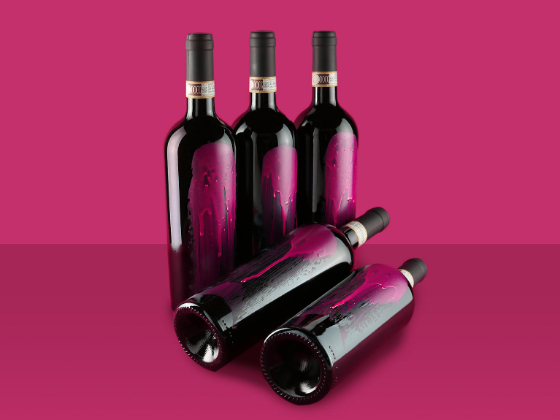 The purple varnish decorates the glass in superb, spontaneous gestures, while color drops trace lines all around the bottle. I learned a lesson curating this packaging: not all projects involve software or computers. 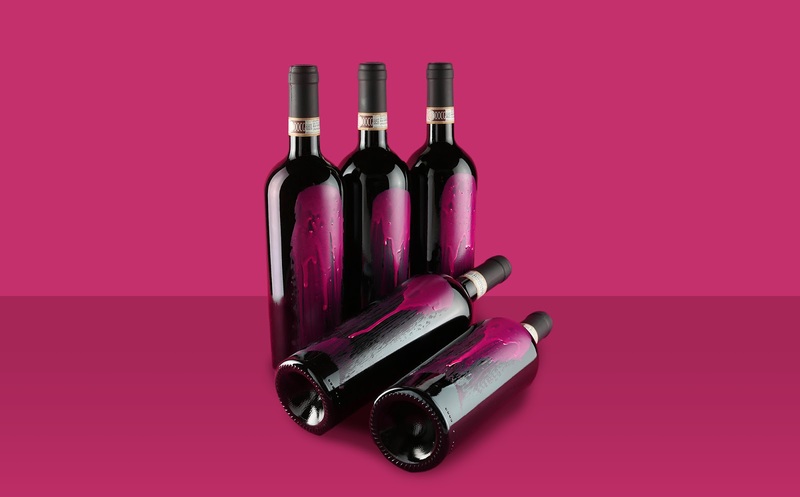 Each bottle is unique in its result: being completely handmade, no bottle is completely the same.